It can be hard to predict the future. After all, everyone thought we’d have flying cars, but not so many foresaw self-driving cars. And while some vague sort of intelligent machine/robot assistant was expected, no one can really claim they foresaw the hand-held smartphone, it all it’s multi-faceted glory: phone! camera! daily planner! toy! time-waster!. But this is the future we’ve ended up with, and San Jose and the Silicon Valley continue to be the world leaders of technology. 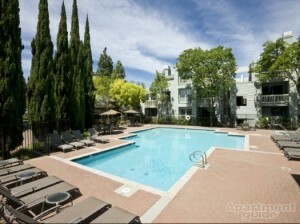 Housing in San Jose corporate rentals is therefore expensive and in great demand. things “tech”. The first-mover advantage gives the region a strong head-start, and this is likely to be true for the foreseeable future. The pattern of coming to Silicon Valley for a short term to test the waters regarding a new idea or technology is well-established, which puts you in competition for San Jose corporate rentals with others that have the same game plan. The key then is to be the first to make a move. The key with San Jose corporate rentals is to strike when there’s opportunity. Summer internships are over, so as that batch of people moves out, your chance to move in opens. But the window is a short one, and you probably have better ways to spend your time (for both work and leisure) than hunt for an apartment in a strange city. Over the past twenty one years, Key Housing has developed relationships throughout the region, and is well equipped to assist individuals or companies with their housing needs. But to reiterate the most important point: Early planning is always recommended by the experts at Key Housing. Any degree of early planning will pay big dividends in cost savings on San Jose corporate rentals. This entry was posted in Corporate Housing and tagged Corporate Rentals, San Jose, San Jose Corporate Rentals on October 17, 2015 by Lee McDonald.